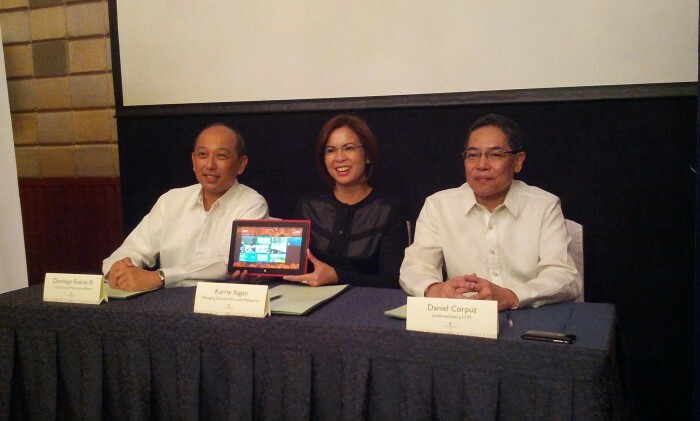 After achieving viral success, the Department of Tourism’s “It’s more fun in the Philippines” campaign now moves to mobile applications with the launch of first-of-its kind tourism apps for Windows 8. The Tourism Promotions Board partnered with Microsoft Philippines to launch the “More Fun Series”, a collection of free apps promoting 25 key tourist destinations in the Philippines. Its goal is to be a “one-stop shop for information” for travelers, said Domingo Ramon Enerio III, chief operating officer of the Tourism Promotions Board (TPB). For the Philippines, he said it means bringing the brand on tablets and mobile phones. “This is the way of the future, going to viral, to social and now apps. Most people now seek the internet for information and 50% of them get influenced by what they read,” Enerio told Marketing. He said the apps is one of the initial steps they are taking for the campaign to shift from awareness to finally compelling thousands of tourists to book the next flight to the Philippines. An initial ten apps was launched to media Friday, which is compatible on computers and tablets running the Windows 8 operating system. It is also compatible with non-touch screen computers. Tim Vergel de Dios, audience marketing manager at Microsoft Philippines, said a version of the apps optimized for mobile phones running on Windows is in the works and will be launched shortly. The app presents an overview of the tourist spot, recommends thing to do in the area and lists DOT accredited hotels, restaurants and shops. Calendar functions are also included, letting users to build an itinerary that can be uploaded on Outlook and Windows phone calendar. People looking for reviews, recommendations from actual travelers and means to share whatever they are doing with the app on social networks may not feel at home. Quizzed about more interactive features, De Dios said that updates are on the pipeline. LOOK Will Maurice Lévy actually “work” for this agency? A marketing stunt with Maurice Levy's name. How far will this gimmick take this agency? ..
Is your campaign really safe and relevant? 7 questions to ask. In the age of programmatic advertising, designing a striking ad with compelling copy isn’t enough. ..